It's perfectly okay as is, but that's my main issue--it's just okay. Nearly every aspect of it falls short of its potential. The student protagonists of Kenji and Dylan are sketches and I never really felt much of anything for them. The Vietnam vet Reggie (you are reminded he is a Vietnam vet--for no real reason--so often it almost becomes part of his name) is a generic semi-retired guy who similarly has no life outside the narrow confines of the book's plot. The characters feel like pieces put into play to be subject to the spooky goings-on. The plot itself is one I'm a sucker for. As the title suggests, it's about the transmission of a message from a mysterious woman who somehow gets herself into a World War II documentary and a song by an obscure band. The students and Reggie are compelled to decipher the cryptic message she speaks and from there both spooky and bad things happen. All this is good and I kept reading to see what would happen, just as any author would hope for, but by the end I was left unsatisfied because the whole experience is a little too straightforward. By eschewing any subplots or supporting characters, by cutting away the rest of these characters' lives, save for the bare minimum, I felt detached from them, instead of invested. And the transmission and the fallout of the successful deciphering (spoiler!) likewise left me wanting more. It's all just a little too...little. 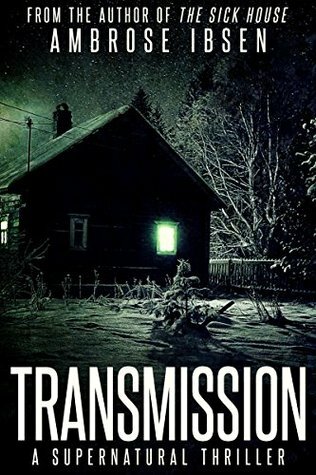 Sign into Goodreads to see if any of your friends have read Transmission.